The Thunder came back from the dead to stun the Rockets, inflicting a 117-112 defeat upon them in Houston. OKC trailed by as many as 26, and they outscored the Rockets 42-20 in the third quarter to begin he comeback. Paul George scored 45 points, as Russell Westbrook had yet another triple-double. 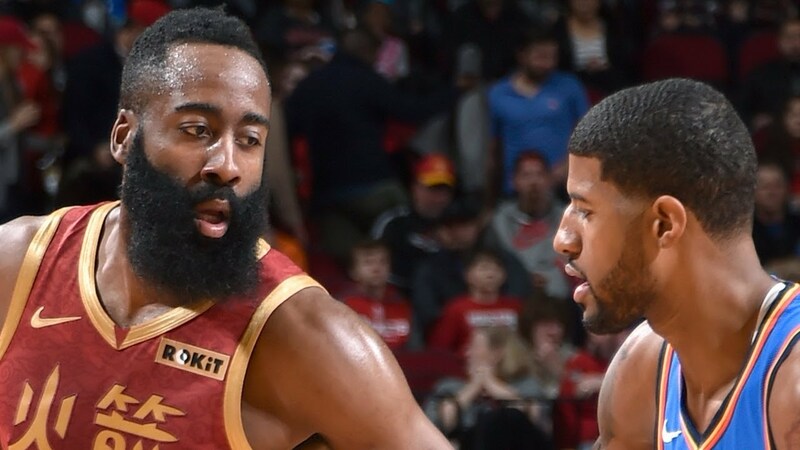 For Houston, James Harden scored 42 and Chris Paul was an assist short of a triple-double. The Clippers also staged a similar comeback at the TD Garden. Down by 28 points, they outscored the Celtics 70-38 in the second half to come away with the victory. Montrezl Harrell was the only player who crossed 20 points in the game, as numerous players from both sides were in double figures. Bojan Bogdanovic led the Indiana Pacers to their fifth straight win, as they beat the Cleveland Cavaliers 105-90. Marc Gasol made his debut for the Raptors as they clinched a 104-99 win against the New York Knicks. The Utah Jazz won against the San Antonio Spurs, courtesy of a big performance from center Rudy Gobert. Meanwhile, Kemba Walker scored 37 points as the Hornets won 129-120 against the Hawks. Joakim Noah turned back the clock as he starred in a Grizzlies win over the Pelicans. All-Star Bradley Beal scored 31 points as the Wizards won 134-125 in Chicago. The Magic beat the Bucks, taking advantage of Giannis Anteokounmpo’s absence for Milwaukee.